Have faith in your dreams and be inspired by this hopeful heroine! Despite her circumstances, she remained compassionate and optimistic. 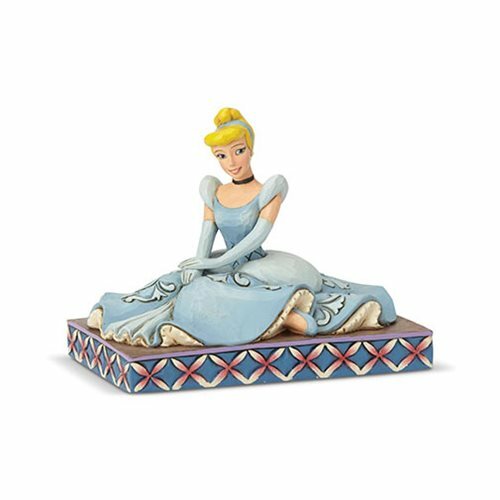 Commemorate Cinderella's extraordinary courage and kindness with this charming Disney Traditions Cinderella Personality Pose Be Charming Statue by Jim Shore. Made of stone resin this statue is a must have for fans of Walt Disney's classic film Cinderella. Measures about 4 1/2-inches long x 3 1/2-inches tall x 2 4/5-inches wide.